I am absolutely horrible when it comes to removing my makeup (and sunscreen!) at the end of the day. By the time I'm home from a long day at work I just want to become one with my couch, watch four hours of YouTube and then fall into a deep hibernation without having to ever move. I totally would too, if it weren't for those meddling skincare kids and their cleansing mantras always in the back of my mind. "Wash your face, or turn into some sort of horribly acne-riddled, wrinkle monster!" they say. "Stop being so lazy and take care of yourself!" And so I trudge upstairs and begin my nightly struggle to keep water from dripping down my elbows as I cleanse. Until recently I didn't have much to say about my nightly cleanser. They were just... fine. Some came in cuter packaging (Heimish All Clean Balm, SU:M37 Miracle Rose Cleansing Stick), some made my face feel every so slightly too dry if I used it every evening but were otherwise great (CosRx Low Ph Good Morning Gel Cleanser), and some were just sort of unremarkable (Clinique Take The Day Off Balm). Nothing to write home (or to you guys) about. But then I met The One. 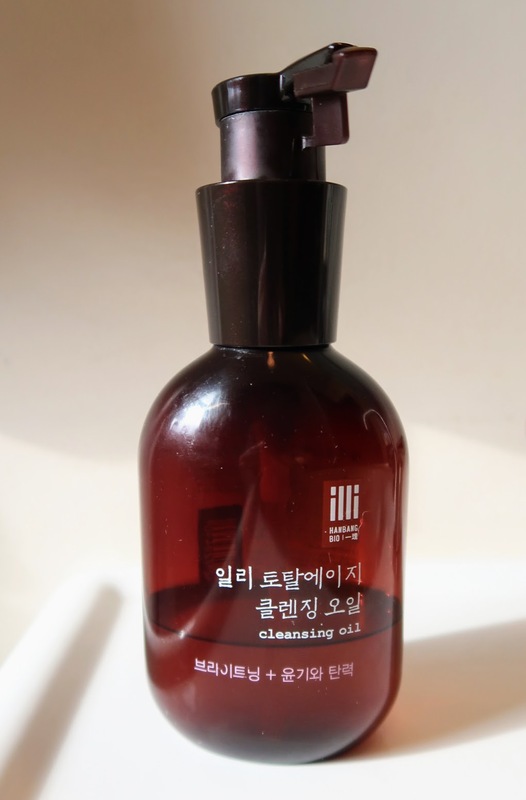 I bought illi Total Aging Care cleansing oil off Amazon on a whim after reading Fiddy's review over on Fifty Shades of Snail. (She's great, you guys should check her out.) She did not exaggerate. This cleansing oil is fantastic. Let's start with hands-down the best part; the smell. Normally I'm not a big fan of fragrances. They tend to always go a little too far in whatever direction they're striving for, whether that be a florally, girly scent or a "we believe tea tree oil works miracles" smell. But this. How can I even describe it? It's natural -- florally but with a hint of something darker. Something that keeps your nose interested. Please don't ask me how many times I took a big long sniff of this product while attempting to write this. It's embarrassing. But what's a great smelling product if it doesn't actually do anything? Luckily, this cleanser has none of the annoying traits of my previous cleansers. As a person with often-dehydrated skin, I find foaming cleansers a bit too harsh. The balms and low pH products I tried either stung my eyes a few minutes after using them or hardly could remove my mascara. 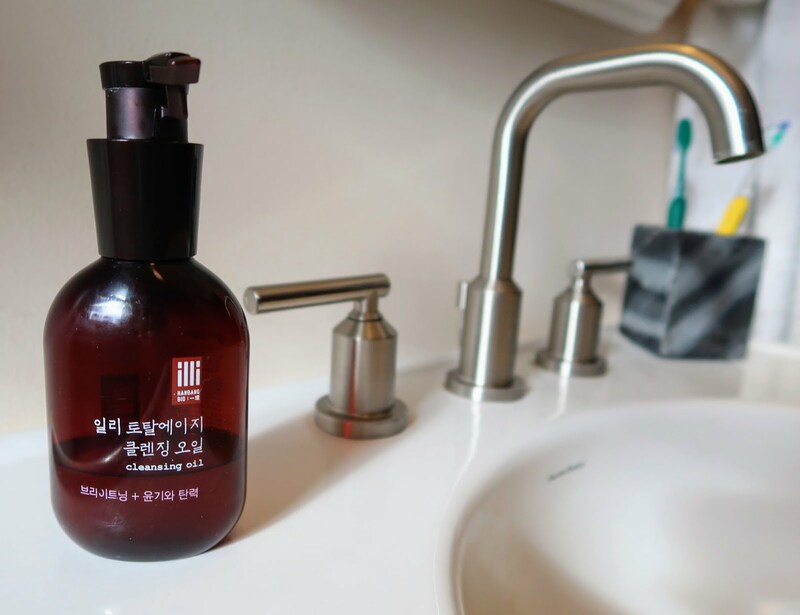 The illi Total Aging Care cleansing oil has not once left me feeling too dry, doesn't sting my eyes at all, and completely removes my mascara and other makeup without having to tug at my eyelashes at all. It also emulsifies lightly when I add water so I can actually tell it's working and that it's all washed off. Best of all, this product just feels luxurious without completely breaking the bank. I've had my first bottle for about half a year and it's still just under half full. I only use one to two pumps whenever I wash up, so it will go a longgg way. And sometimes, just to add a bit more pampering to my everyday life, I do a little facial massage before washing the cleansing oil off. The smell, the elegant packaging and the relaxing massage all add up to just about the perfect way to end a long day.